Purchasing your first safety razor can be intimidating. Personally, I spent 5 days on the streets of google trying to find the best safety razor for beginners. Honestly, it is an experience that I would not want anyone else to go through. 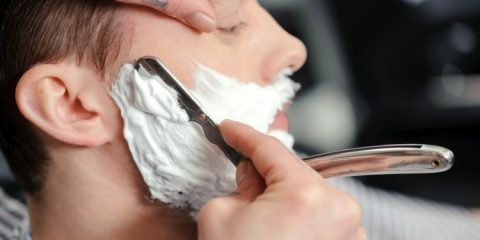 This explains why I put together a detailed guide that will help newbies to choose a good razor. It’s time to dump that disposable razor you’ve been using and get ready to become a pro wet shaver. I am pretty sure, you will get to learn a lot from my post. Make sure you implement the knowledge when you are shopping for all your safety razors. If you are planning to dive into the art of wet shaving, the Viking Chieftain Razor should be your tool of choice. It is one of the few safety razors that experts and newbies enjoy using for their shaving sessions. This shaving razor is made using rare high quality Swedish materials. I am saying “rare” because you might be duped to buying knockoffs that look similar to the Viking Chieftain Razor. The craftsmanship of this product is just out of this world. Viking Chieftain Razor also features a chrome plated finish that gives it a shiny appearance. The design alone will give you something to smile about immediately you unbox the package. Viking Chieftain features a short handle that feels comfortable and easy to hold. Besides, the handle has a few cuts that provides a non-slip grip. This awesome product comes with a Viking Chieftain engraving that adds class and beauty to it. 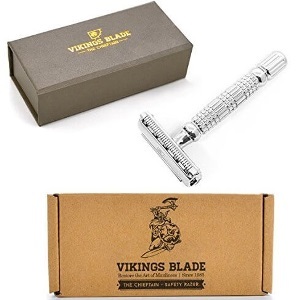 Having used the Vikings Blade Chieftain Safety Razor for a long time, I can rave about it all day. This is a product that has attracted thousands of positive customer reviews. I was so impressed by the quality of shave that the Vikings Chieftain provides. Moreover, the level of aggression provided by the blades is ideal for beginners. The other cool thing about this razor is that, it is covered with a lifetime warranty. This implies that the product’s quality is undisputable. I also like the handle design because it allows for a superb control when shaving. Moreover, the razor features an advanced butterfly head that allows the user to change the blade within a short time(5 seconds or less). Though Viking Chieftain is one of the best razors for beginners, but I found that it does not cater for people who are looking for higher levels of aggression. I understand that it is difficult to cater for the wide spectrum of wet shavers, therefore, this should not be a deal breaker. In case you don’t like the design and style of the Vikings Chieftain, then the AS-D2 might be a good option for you. It is one of the most popular safety razors that has been praised for its quality, design, and craftsmanship. Feather Razor features a sleek stainless design. 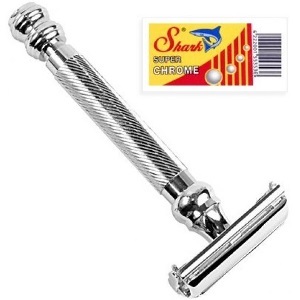 The plate and handle are made from high quality stainless steel that makes the razor durable. The package comes with 5 double edge blades thus allowing you to replace whenever one gets blunt. The Seki Edge Feather razor comes with a compact, and comfortable handle. Its length is 3.5 inches .Additionally, the handle has deep grooves that provides users with a firm grip. The head measures around 1.7 inches in length while the razor head has a width of 1 inch. The feather AS-D2 is a lightweight razor and the weight of the razor is only 90g. The weight and the handle provides adequate balance when shaving. Based on the above product description, it goes without saying that the Feather AS-D2 is one of the best safety razors. I can confirm this because I own one and I have been using it regularly. For starters, I am always impressed by how the razor shaves without causing any irritation on the skin. I have never felt the blade touching my skin when shaving my beards. The AS-D2 razor is a very unique razor especially because of its outstanding shaving performance. I also love the design of the handle as it provides a non-slip grip during wet shaving sessions.This product is definitely worth every penny. Despite the many positive reviews about the Feather AS-D2 razor, there is one thing that could be improved. I would appreciate if the manufacturer increased the length of the handle a bit. I am saying this because it is difficult to control the angle of the blade especially if one has a large palm. Honestly speaking, if you are a fan of classic shaving, the Merkur Classic 2-Piece Safety razor should be your tool of choice. Experts have recommended this razor to be the best for both newbies and experienced wet shavers. Being a high-end safety razor, it has been chrome plated on all the sections that come into contact with the skin. The Chrome finish ensures that your face is left without any scratches. The two piece razor comes with the handle and base plate fixed together. This implies that you will have an easy time loading the double edge blades. The Merkur razor is considered to have a mild aggressiveness, however, it can handle rough beards too. You might be required to do a few passes to achieve a baby smooth shave. The length of its handle is approximately 3 inches. In fact it is one of the shortest models you can get on the market. During the few times I have used the Merkur 34C razor, I can say that it is one of the few models that will provide a smooth shave. Besides, the blade does not cause any burns or irritation whatsoever. 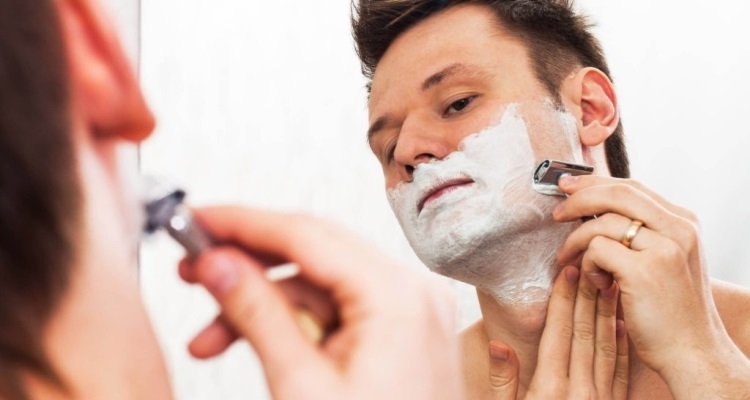 New users must practice how to use the razor correctly in order to reap all the benefits of wet shaving. 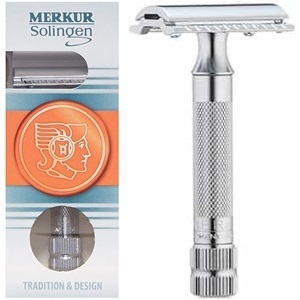 I enjoyed using the Merkur 34C razor because it comes with a knurled handle that provides a firm grip. It goes without saying that, the razor is great for beginners and persons with sensitive skin. If you are looking to shift from your normal Gillette razors, then you should consider the Merkur Classic 2-Piece razor. Although, I have complimented this product for its awesome features, I still have a bone to chew with the German manufacturer. The handle of this razor is too short for my liking. I don’t know whether it’s my hands or everybody else noticed this issue. The manufacturer ought to increase the handle length a bit to accommodate guys with larger palms. Are you interested in joining the league of wet shavers? Well, the Edwin Jagger might be a good razor to start your journey. It is one of the most praised safest razors that you can get your hands on. I believe the thousands of positive customer reviews are enough to convince you to buy this product. 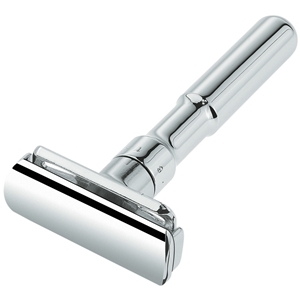 The Edwin jagger features an awesome chrome plating finish that stands out from its competitors. The chrome finish has been applied on all sections including those that are not visible. The aggressiveness of this razor can be classified on the mild side. At least you will have some wiggle room if you are looking to experiment with a variety of blades. The length of this razor is about 3.9 inches from bottom to the top. This is a good length as compared to the previous models that I have reviewed. The other impressive feature is the studded knurling design that is on the handle. The pattern helps in providing a non-slip grip. For starters, I have to to say that the Edwin Jagger is one of the easiest razors to use. This point alone makes it one of the best safety razors for beginners. I was also impressed by the high quality finish of this razor as it looks better than the Merkur model. The length and grip of the handle is another talking point. These two features allow one to control the razor with ease as compared to some of the so called “best safety razors”. I would definitely recommend this razor to newbies who are looking to buy their first DE razor. Oooh, by the way this razor is quite affordable as compared to other top brands. 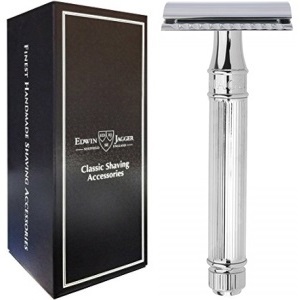 There are many impressive features to like about the Edwin Jagger Double Safety Razor. However, I noticed a few flaws that are worth mentioning. For starters, the Chrome finish might start to chip off after a few weeks of use. This might cause a few scratches on your face. Additionally, the handle does not have enough grip but It still does a good job. I have used a few Parker Safety razors but none compares to the 99R model. It is one of the few razors that features a long handle and moderate weight. Most newbies will definitely enjoy trimming their hair with this awesome razor. The weight of the head and the handle are well balanced to facilitate a smooth user experience. It weighs around 3.4 ounces which is a bit heavier than other brands, but at least the weight is evenly distributed. The handle of the Parker 99R has numerous vertical spiral patterns that provides a firm grip. This pattern provides an awesome grip for both left handed and right handed people. The length of the handle is 4 inches which is longer than most brands. Parker 99R features a butterfly open system that makes it easy to replace double edge blades. To be sincere, the Parker 99R should be on your wishlist if you are a first time buyer. It has great features and a sleek design. This razor comes with a chrome coating that increases its lifespan. The other great feature that I like is the long handle which allows one to control the razor like a pro! It is so easy to master the art of wet shaving using this type of handle. I can’t forget to compliment the butterfly open design as it makes the work of replacing the blade to be easy. Lastly, this safety razor retails at a very affordable price bearing in mind that it oozes elegance and quality. The Parker 99R has so many features that makes it great, however, I was not impressed by the moving parts. The assembly is shoddy and the moving parts might greatly reduce the lifespan of this razor. The Merkur Futur is one of the safety razors that has a simple design. The manufacturers did not focus on building a shaver that looks awesome. Instead, they directed their focus on creating a safety razor that shaves like a dream. The performance of the Merkur Futur is just out of this world. This solid razor was designed for all shaving skill levels and skin types. It doesn’t matter whether you are a beginner or an expert, this tool will shear through all types of stubble with ease. Thanks to its six different settings that allows user to adjust the blade according to their preferences. The Merkur Futur has its own unique way of holding the blade in place. Instead of using a screw like other Merkur razors, it uses a clip. This shaver has a smooth handle that is 4 inches long. The only source of grip is an indentation that is found at the centre of the handle. The most impressive feature of the Merkur Futur razor is that, it is adjustable. The six settings allows one to adjust the razor depending on the type and size of beards. At least experts and newbies can use this product with ease. The other awesome feature is that, this razor has a long handle that provides a large surface for men with large palms to hold. Moreover, the weight of this product is well balanced to facilitate a stress-free shaving experience. I also like the fact that this tool features a chrome finish that gives it a super dope appearance. Well, this product has a few flaws that should be corrected. For starters, the appearance and design is not compelling the eye. A few decorations on the handle could do. The other minor issue is that, one can easily get hurt when changing the blade. Other than these few issues, The Merkur Futur remains a safety razor worth purchasing. When shopping for a safety razor, you will have to decide whether you want a single edge or double edge safety razor. Unfortunately, single edge safety razors are rare to find. This is can be attributed to the fact that most companies are producing cartridge razors. If you are lucky enough, you can find an SE razor in vintage markets. All in all, Double Edge razors might be your only option. With the increased popularity of DE safety razors, new brands are entering the market on a daily basis. You might get confused on which brand is good for you especially if you are a newbie. To avoid all the confusion, it is important to do a thorough research on the most popular brands. I always recommend beginners to shop from popular brands such as the Edwin Jagger, Feather, Parker and Merkur. These brands are popular for making razors that are durable, affordable and effective. If you are new to the world of wet shaving, price is an important factor to consider. Razors are priced according to their quality. You do not expect to get a high-end razor if you are not willing to part with more than 30 bucks. On the other hand, you should not get carried away by razors that are so expensive. It is always good to start with a razor that you can afford and then you can upgrade to a higher priced razor after a few months. The length and weight of a razor are some of the key features that you should pay attention to. Most people ignore these factors and end up regretting why they didn’t consider them. The length of the handle determines how comfortable you will be when shaving your beards. In case you have a small palm, you can go for a short handle. For those guys with large palms, long handles are the most suitable. When it comes to weight, you ought to choose something that doesn’t feel too heavy or too light. Choose a razor that you can balance well in your hands. Razorheads come in two different types, a stable and an adjustable razor head. If you like a versatile razorhead, you should definitely go for an adjustable razorhead. It allows you to adjust the aggressiveness of the razor according to your preferences. On the other hand, A stable razorhead does not give you the freedom to adjust the aggressiveness. 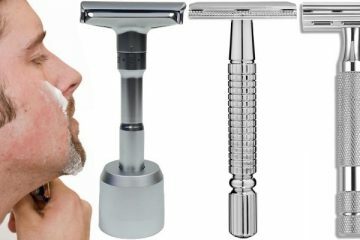 Grip is also a key factor that you should consider when choosing the best safety razor. I wouldn’t recommend anybody to purchase a razor that doesn’t feel comfortable when holding. To be on the safe side, choose a razor that has texture along the handle. A textured handle will give you a non-slip grip that feels comfortable. Before you start trimming down your beards, it is imperative to soften your skin. You can do this by taking a hot shower or, soaking your face for around 30 seconds. Alternatively you can apply a pre-shave cream to soften the skin. You will also be required to bloom your shaving soap before you get started. This makes it easier to form lather. Now that you’ve lathered your face with soap and loaded the blade, it’s time to position that blade correctly. During this process, a mirror will act as a guide. Place the razor’s head against your skin and ensure that the angle formed is about 30°. This is the best angle for beginners who are looking for mild aggressiveness. The first pass will be easy for you as long as you won’t panic. I always recommend newbies to begin with the sideburns and work their way down to the jawline. Once you are done with this area, you can move the razor around the mouth. You will have to stretch your skin in areas around the neck for you to achieve a smooth and scratch-free shave. Short and gentle strokes work well during your first shave. You also need to rinse the razor after every five minutes in order to get rid of excess soap and cut hairs. This process helps to unclog the blade in order to achieve a quality shave. PS: Do Not apply an extra pressure on the blade, the weight of the razor is just enough. Since the first pass is simply meant to reduce the amount of hair on your face, it is important to do a second pass. The sole purpose of the 2nd pass is to achieve a smooth shave. You will need to lather up your face again before you begin shaving. For the second pass, you might consider shaving against or across the grain. People with sensitive skin should avoid shaving against the grain as it might cause irritation. Remember to stay gentle and maintain short strokes. Post shaving is all about taking care of your skin after you are done with the shave. You should rinse your face with cold water and apply a moisturizer or post-shave balm to nourish the skin. You should also apply a styptic or an alum block to seal the moisturizer in your skin. Now that we have come to the end of this write up, I hope you have learnt how to choose and use a safety razor. For you to get a great shave, it is important to choose a safety razor that suits your needs. At least I’ve simplified the work of selecting a good razor by reviewing the top 6 safety razors for the money. I have personally used all the razors in my article so that I can provide a firsthand experience. You can definitely count on each of these razors to start your wet shaving adventures!